Our class started out with five students (myself included), but now we’re down to four. It’s not what you’re thinking. Nobody’s dropped out, failed, or been asked to leave.. although that would certainly make for an interesting story. As with most things in aviation, reality is decidedly more mundane than you might expect if your frame of reference was a film or television show. What happened is that one of our classmates is chief pilot for a Fortune 500 company and his schedule didn’t permit him to take the full three week course all at once. He knew that going in, so the plan was always for him to finish at Simuflite’s Morristown, NJ location in a month or two with one of his company’s other pilots. I wish the guy luck. One the one hand, he’s got some time to absorb all the information we’ve been fed on the Gulfstream IV, not to mention all the manuals, books, and notes necessary for review. The break might be a blessing in disguise. Getting away from the books for a while can allow long-term memory to absorb the material so that it “sticks”. At least, that’s how it works for me. I suppose it’s also possible he could simply forget a bunch of stuff between now and then, especially since he’s still flying the Falcon 50. From what I could gather, he also has a great deal of administrative responsibility on top of the flying duties. Yesterday — day 13 — my sim partner and I reviewed everything done on day 12, starting with a cold, dark airplane and running all the checklists necessary to get it ready to taxi. As previously noted, that takes at least 20-25 minutes. We cranked up on the ramp at Stevens Intl. Airport in Anchorage, taxied out and departed with a 600 foot RVR — basically the Part 135 minimums. Then it was on to stalls, steep turns, approaches, missed approaches, and holds, all flown in solid IMC. With a total of only seven simulator sessions to prepare for the checkride, it might seem a waste to do the same thing twice, especially if there weren’t any big issues the first time around, but “normal procedures” constitutes the majority of the practical test. It’s the basics, and without that, the abnormal procedures certainly won’t go too well. So far, I’m feeling confident. Communication in the cockpit has been good, and my sim partner’s been helping me out with a word here or there to jog my memory on procedures when required, especially in high workload times such as the two-engine missed approach. The airplane climbs so quickly and the missed approach procedure out of Anchorage calls for a turn at only 600 feet. Plus we’ve gotta get the gear up, flaps up, set the flight guidance panel, switch navigation sources, and so on. Flying with an experienced G-IV pilot is sort of like having a second CFI. Speaking of which, our instructor yesterday was new. A very nice guy, but we both noticed him texting on his phone at various times throughout our sim session. It’s not the most professional behavior, but we’re letting it slide. If if continues, we may be forced to say something. Aside from that, he’s an interesting guy who goes way back to the days of the 707. He also flew the DC-8, 727, L-1011, and 747. The one thing he apparently never flew? 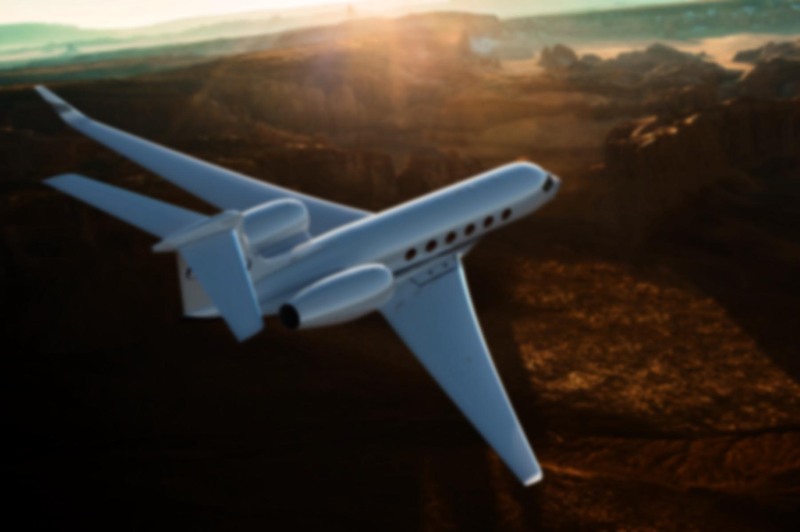 The Gulfstream! He spent 15 years in Saudi Arabia flying for their airline or the royal family. Something like that. Sim days consist of an hour of briefing, four hours in the simulator, and an hour of debriefing. This makes them chronologically shorter than ground school days, yet we walk out of the building far more exhausted. I expect that trend will only continue as the engine failures, fires, electrical failures, icing, and other fun starts coming at us. Day 14 was “off”. No training scheduled. I did force myself to study for an hour or two, then put the books away. I am trying to get adjusted to the later schedule, but it’s been tough. Tonight I spent an hour and a half in the hotel gym trying to wear myself out enough to sleep a little later. The problem is that ground school always started at 9:00 a.m., and I was usually at Simuflite by 8:30. Our sim days, however, start at 2:00 p.m. and we aren’t out of there until close to 9 p.m.
Not that I’m complaining, mind you. These simulators operate around the clock, and it’s not unheard of to get a midnight (or later!) start time. I’ve been told that cargo companies often request late night training schedules to get their pilots into the routine they’ll be using in real life, flying all night and sleeping during the day. The other two students in our class have the morning shift, starting at 7 a.m. and finishing just as we arrive. They don’t mind it because they’re morning people. Personally, I’m quite happy with 2:30 p.m.